It's being lost to an army of lobbyists and public-relations flacks who help set the political agenda and decide what you get to know. It's losing its struggle against a prime minister and a government that continue to delegitimize the media's role in the political system. The public's right to know has been undermined by a government that effectively killed Statistics Canada, fired hundreds of scientists and statisticians, gutted Library and Archives Canada, and turned freedom of information rules into a joke. Facts, it would seem, are no longer important. 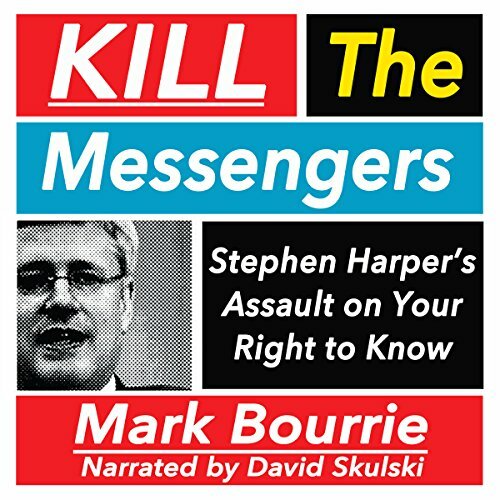 In Kill the Messengers: Stephen Harper's Assault on Your Right to Know, Mark Bourrie exposes how trends have conspired to simultaneously silence the Canadian media and elect an anti-intellectual government determined to conduct business in private. Drawing evidence from multiple cases and examples, Bourrie demonstrates how budget cuts have been used to suppress the collection of facts that embarrass the government's position or undermine its ideologically based decision making. Perhaps most importantly, Bourrie gives advice on how to take back your right to be informed and to be heard. Kill the Messengers is not just a collection of evidence bemoaning the current state of the Canadian media; it is a call to arms for informed citizens to become active participants in the democratic process. It is an audiobook all Canadians are entitled to listen to - and now they'll get the chance. ©2015 Mark Bourrie (P)2015 Post Hypnotic Press Inc.